Official Poster, Trailer and Release Date for Drew: The Man Behind The Poster. The documentary features interviews with Drew Struzan, George Lucas, Steven Spielberg and Guillermo del Toro. 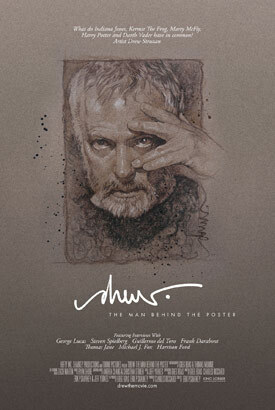 The film highlights the career of poster artist Drew Struzan, whose most popular works include the Indiana Jones, Back to the Future and Star Wars movie posters. Telling the tale through exclusive interviews with filmmakers, artists and critics, the journey spans Drew’s early career in commercial and album cover art through his recent retirement as one of the most recognizable and influential movie poster artists of all time. 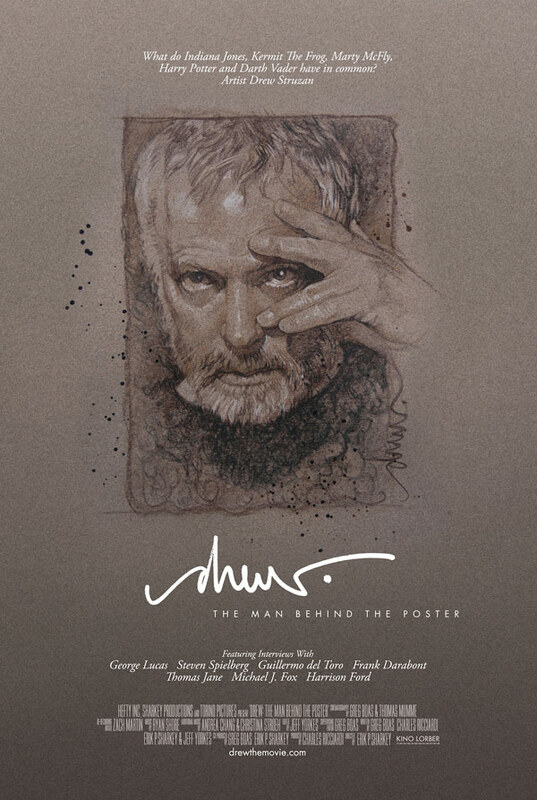 DREW: THE MAN BEHIND THE POSTER is a feature-length documentary film highlighting the career of poster artist Drew Struzan, whose most popular works include the “Indiana Jones,” “Back to the Future” and “Star Wars” movie posters. Telling the tale through exclusive interviews with George Lucas, Harrison Ford, Michael J. Fox, Frank Darabont, Guillermo del Toro, Steven Spielberg and many other filmmakers, artists and critics, the journey spans Drew’s early career in commercial and album cover art through his recent retirement as one of the most recognizable and influential movie poster artists of all time. Three filmmakers have united to bring this film to life; Greg Boas (Hefty Inc.), Charles Ricciardi (Torino Pictures), and Erik P. Sharkey (Sharkey Productions), assembling one of the most intriguing film lineups and crafting a comprehensive presentation about the artist, the art, the stories behind Drew’s most recognizable creations, as well as a never-before-seen insider’s examination of the industry and the profession of motion picture advertising.